An increase in security checks at the Philip S.W. Goldson International Airport is being required for all travellers bound to the United States of America. The official announcement was made by the Ministry of Tourism and Civil Aviation on Tuesday, July 18th. Passengers are now advised to be at the airport at least two hours prior to their departure to avoid delays or missed flights. The new rule became effective Wednesday, July 19th, and it requires that passengers be in compliance with U.S security requirements. Additional security measures will be implemented on outbound travellers flying from Belize to the United States, and are a direct requirement from the United States Department of Homeland Security. It calls for an increase in security protocols around aircraft and passenger areas, and the use of advanced technology, expanded canine screening along with the establishment of additional pre-clearance locations. In an online statement from Homeland Security, the agency says ‘The United States and the global aviation community face an adaptive and agile enemy. Terrorist groups continue to target passenger aircraft, and we have seen a ‘spider web’ of threats to commercial aviation as terrorists pursue new attack methods.” The agency added that it may introduce additional security restrictions on any stakeholders that do not comply with the new measure. Director of the Department of Civil Aviation, Lindsay Garbutt briefly explained that the new norm basically requires further screening of mostly electronic items. These include laptops and any other portable electronics stored in carry-on bags. Anything larger than a smartphone will need to be removed from their protective casing and fully charged in case it is inspected. In March of this year, the U.S banned electronic devices larger than a smartphone from the cabin on flights coming from ten airports in eight countries in the Middle East and North Africa. It was feared then that devices could be used to smuggle explosives on board. Garbutt cleared the rumours that there was going to be a ban on electronic items as well for Belize. “No one’s cell phone or laptop will be taken away, unless it has anything that should not be in there,” said Garbutt. He emphasized that the ban policy does not apply to Belize since the country is complying with the new security measures. Early this month, the electronics ban was lifted for passengers travelling to the U.S from Turkey, Doha, Qatar, Amman, Jordan, Abu Dhabi Kuwait and Dubai, after these countries implemented heightened security measures. However, the ban remains for flights originating from Casablanca and Morocco, as well as Saudi Arabian Airlines flying from Jeddah and Riyadh. 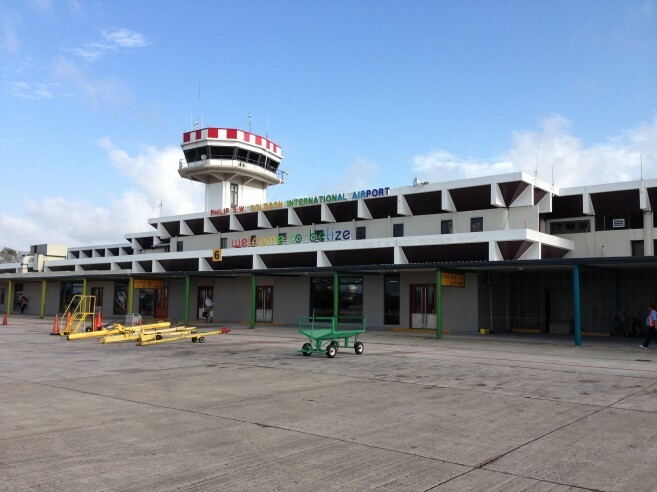 In Belize, local authorities at the international airport do not anticipate any major delays at the international airport, but they are advising passengers to try checking with their air carriers very early as the process through the boarding gates may take a little longer than usual. Belize is not the only country where the same measure is being implemented. The regulation was applied to approximately 280 airports around the world offering flights to the United States.